I don’t know what is south, and what is west about India foods. 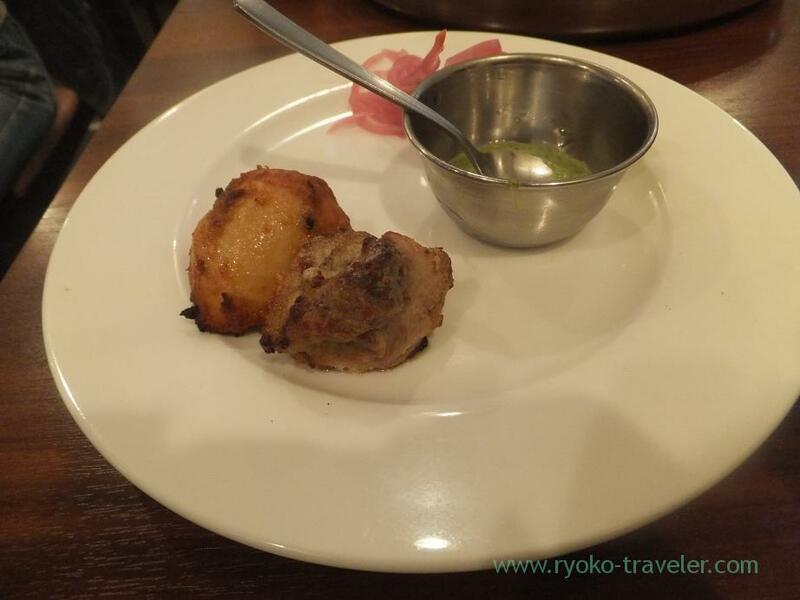 But the restaurant serves “southern” india foods. 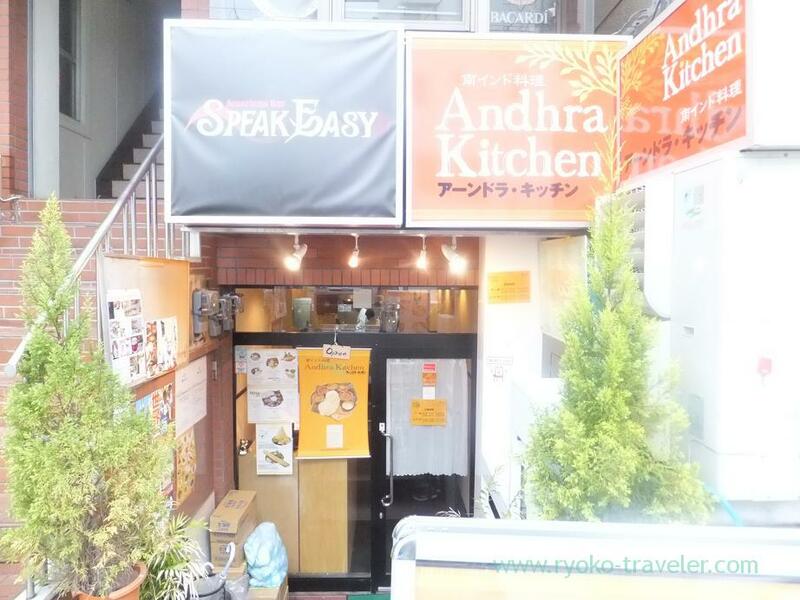 I went to “Andhola Kitchen” located Okachimachi to have lunch at 4th May. Speaking of Okachimachi, I went to the sento named “Matsunoyu”(Already closed down) last year. So this is the second time to visiting Okachimachi. Because of early-May holiday season(GW), there were a lot of people 🙁 . 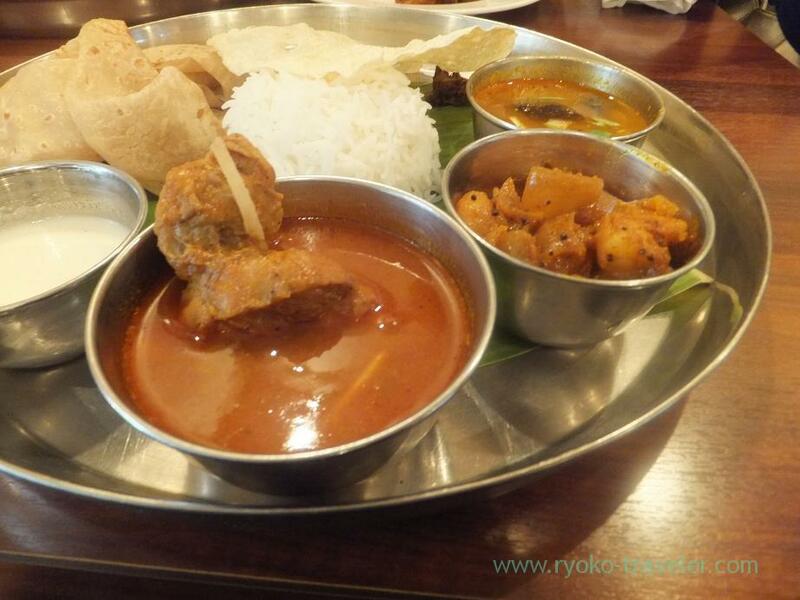 I could select two kinds of curry from seasonal menu of curry. I choiced shrimp and chicken.And sambar,chapati and rice . White thing was sweet yogurt. The shop say it is dessert. Chicken curry was very hot. Shrimp curry was hot too, but it had more sourness. 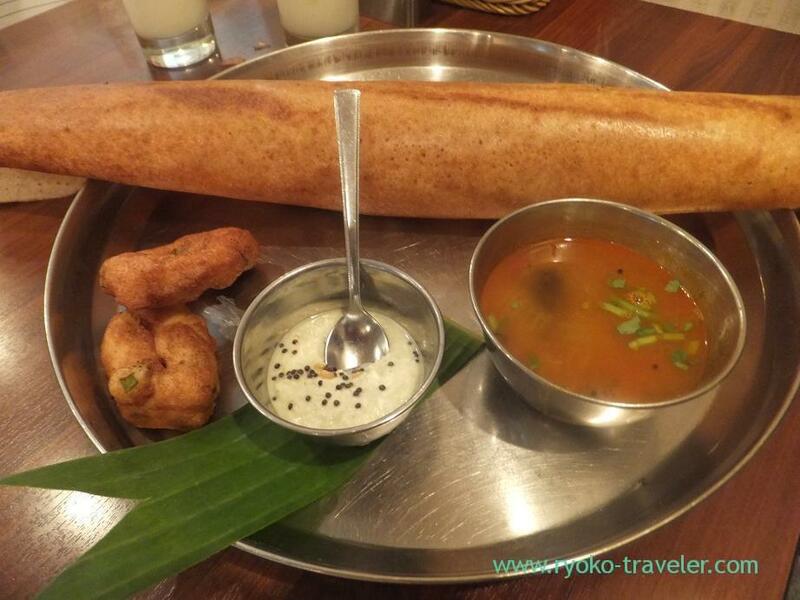 Two pieces of wada, dosa, sambar and coconut chutney. I felt chanzai smell just a bit.I heard this doughnuts are eaten with the white sauce. Being at left was doughnuts. But these weren’t sweet. We could choice one kind of curry. we choiced mutton.It was also very hot. 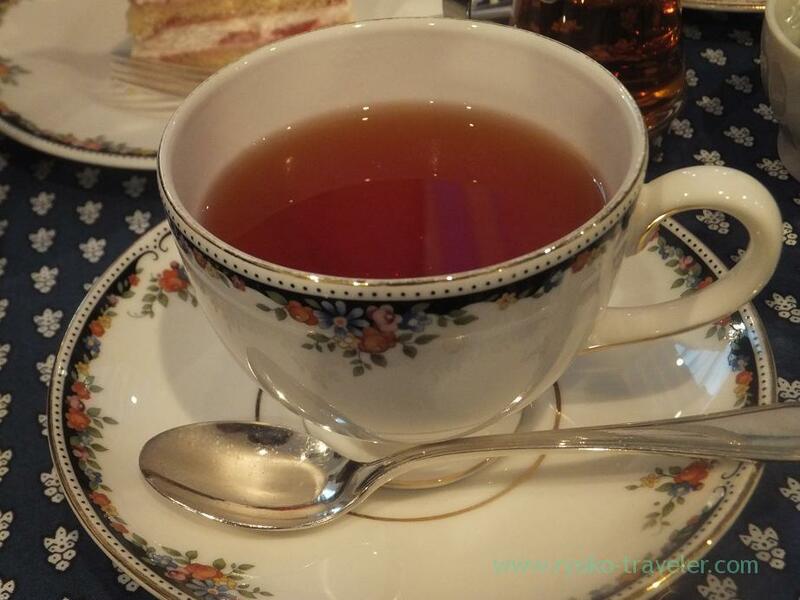 Then we moved to Sugamo to have cakes.It went on raining that day. This is the second time to go to Sugamo. I have been to temple named Koganji at Sugamo just once.Well Togenuki Jizo is kept hidden from view. 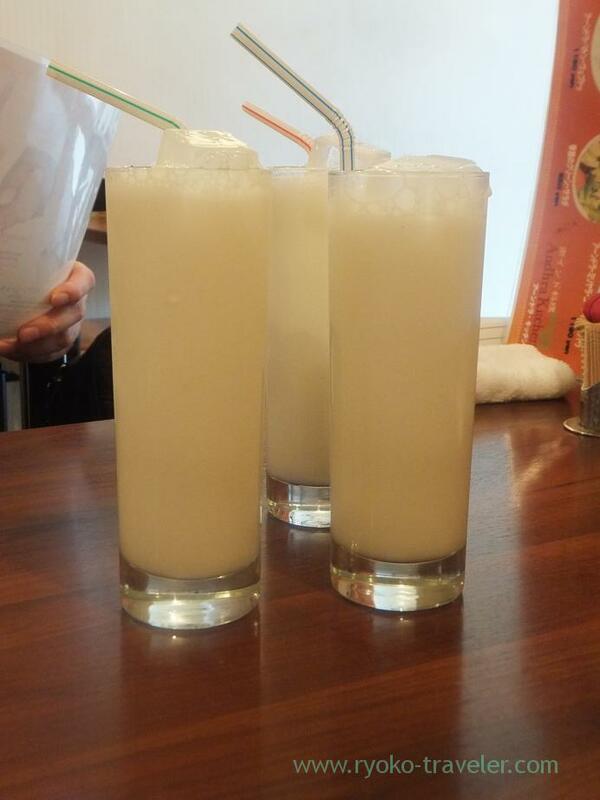 Three women that they looks in 40th said “This is Todanuki Jizo. I look this for the first time. :D”, washing the Arai Kannon. Some people mistakes Arai Kannon for Togenuki Jizo. 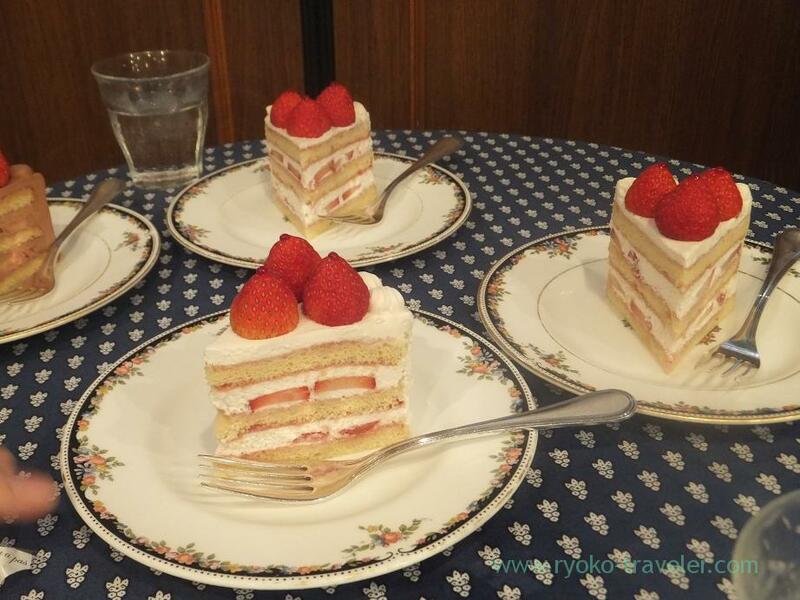 The shop use fresh strawberry for this sponge cake and whipped cream. The cake is small, but it is very sweet, so I think it is good size for me.Containing liquor, but I couldn’t find any flavor of liquor. 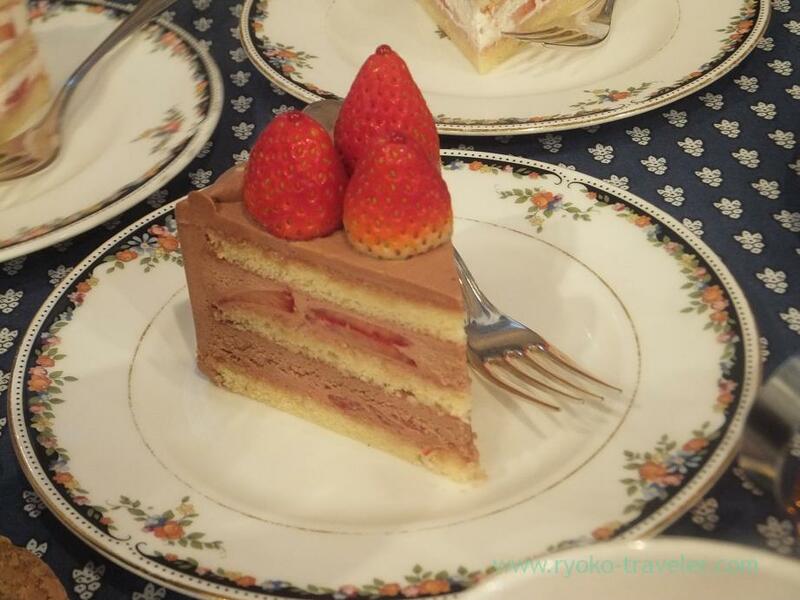 It was better than whipped cream sponge cake for me because it was not too sweet. I like it.